So, Thursday rolled around – the date that we’d all been dreading – the day that my mother was moving to an apartment in an ‘independent living’ complex. Why the dread? The flat is lovely and I expect her to be much happier living there with lots of people around her and lots of emergency cords in case she has a fall. BUT she has lived in a 3-bed semi for 56 years and it is pretty full of 56 years of tat. By Saturday evening she was a weeping rag of a woman, sitting in her little armchair unable to process any more requests from my SIL or myself about what was to stay and what was to go. And my SIL and I were getting tired and fed up – irritated at the sheer volume of crap that we were packing at one end, unpacking at the other end and trying to find a home for. The laws of physics states – you cannot cram the entire contents of a 3-bed semi into a 1-bed flat. But by God, we have tried. I was a ruthlessly efficient Queen of Swords, able to bin off boxfuls of charity lapel pins as easily as my old Mother’s Day presents that had been quietly punted to a shoebox in her wardrobe as soon as every Mother’s Day was over. My SIL was more caring – constantly monitoring my mother’s physical needs over the day – cups of tea, glasses of water, enforced breaks for lunch etc. A healthy Queen of Pentacles. ‘What about this?’ I say tersely as I stand before her holding a china nut-bowl in a raffia basket. “I am taking that with me,” says mother defiantly. “When was the last time you used this, mum?” I ask (knowing full well that it has never been out of its box). I pack it with a sigh. I pull out another nut bowl, this time with bright Spanish-style flowers painted on it. “Can I put this one in the charity box then?” I ask. Only someone with a heart of stone would have thrown it into the charity box. I considered it, because I am that heart of stone. I do. I also know that Old Andrew was probably glad to get rid of the raffia-swaddled nut bowl back in 1971 when he passed it on to mum. And so the days went on …. and out of 3-bedrooms, we have only one large box of outgoing items for the Salvation Army. We have moved, however, many, MANY boxes of stuff that SHOULD go to the Salvation Army into her new house. 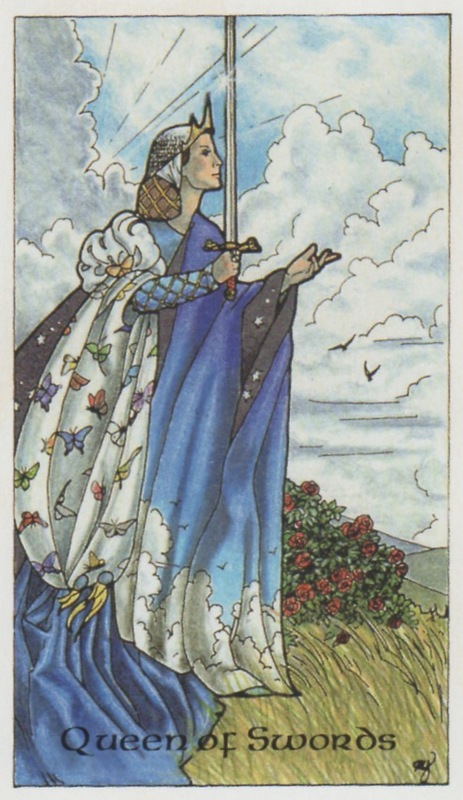 So, here’s what this Queen of Swords would advise you all who are still to move their aged parents. 2 Try to encourage your folks to see objects as are they are, not as the stories they attach to those objects. Those stories tie you to that clutter. Without that story would you want that thing in your life? Old Andrew lives on in my mother’s heart, not in his nut bowl. 3 Prepare for your own move – to sheltered housing or even just your next house move – and thin down your own stuff. I’m starting this week! 4 Stop buying new stuff unless you are replacing old stuff. I promise you, you do not need 15 coats, mum. 5 Don’t hang on to things just because they are ‘good’ or may be useful. Get ‘good’ stuff that you don’t ever use out into the charity boxes so that someone else WILL find it useful. 6 Don’t put out anything shabby for the charity shops. If it’s not fit for you to wear/use, it won’t be fit for anyone else either. My father is trying to sort his house – only 40odd years living there …it is hard going, for sure. It is overwhelming, and not just for him. We already only buy new if the old goes out as far as kitchen items are concerned. 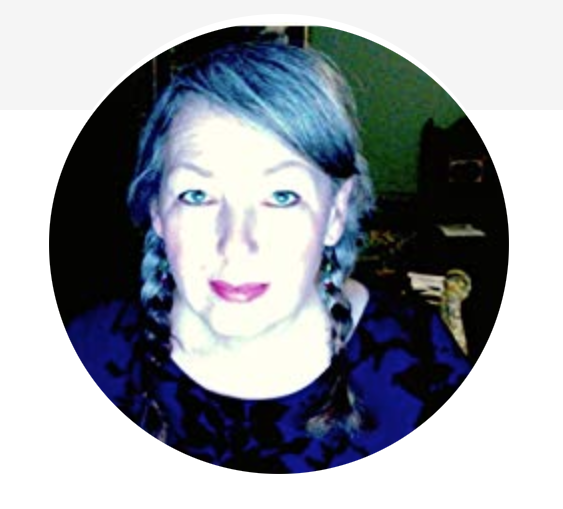 Haven't quite got there as regards clothes *eyes Titch's jacket, coat and hat collection* but my SIL is selling my old too small good clothes for me on eBay – I will never be a size 8 again: this is part of the issue, letting go means we admit this kind of truth and grieving to ourselves. It's hard going, Chloe. Start now, I'd recommend it. Sending hugs to your mum! Well done for getting through it! And yes to not dropping off things too shabby! The broken, dirty things people used to drop off, which cost the charity shops I volunteered with to dispose of used to drive me mad! (But many do make a little bit from 'ragging' clothes which aren't saleable).